Technology-Portfolio.Net - Although Apple has not launched the iPhone 2019, but leaks about the iPhone 2020 have started to appear. 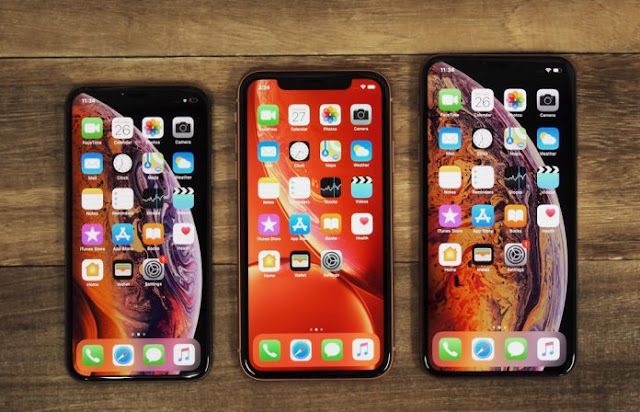 According to reports from industry insiders, Apple will announce three iPhones by 2020 with a new screen size than before and all use OLED panels. The iPhone 2020 screen will range from 5.42 inches which is quite compact to 6.06 inches and the Max model will have a 6.67-inch screen. The smallest size will replace the iPhone 8 with a 4.7-inch screen, and for the 6.06-inch model will replace the iPhone XS 5.8 inches and the 6.67-inch model will replace the iPhone XS Max 6.5 inches. If this report proves to be reliable, it is very possible that the new iPhone will not be much larger than the current iPhone model because the increase in screen size will trim the bezel and maintain the dimensions. Reports about Apple's plans to move using an OLED screen have been heard before. Reportedly, the iPhone 2019 model will use all OLEDs, but it seems that Apple is really ready to use OLED panels for all iPhones by 2020. This means that this year we will likely get the successor to the iPhone XR which still uses LCD and two iPhone OLEDs with ultra cameras -wide for the third lens. One interesting thing, 2018 is the additional year the iPhone "S" and 2019 are expected to present the iPhone 11, which means that Apple will bring a redesign of the iPhone alignment in 2020, which is usually the year "S". Aple did miss the S series when it moved from iPhone 7 to iPhone 8 and iPhone X so that it would never happen before if you did it again.